The start of the busy Q4 holiday shopping season is just a few weeks away and merchants should already be preparing to increase in-store visits, engage with customers, and gain a competitive edge. Prioritizing gift card programs is critical during this time of year; however, many merchants lack a cohesive merchandising strategy that will maximize consumer exposure to branded gift cards. A 2017 survey by the National Retail Federation and Prosper Insights & Analytics right estimated that 59% of consumers planned to give gift cards during the 2017 holiday season. The survey highlights the popularity of gift cards as a gifting option, noting they remained the most popular item on wish lists for the eleventh year running and that 61% of those surveyed reported requesting gift cards as a gift option. Recent Blackhawk Network 2018 Spring Summit Research reveals 49% of consumers surveyed prefer to buy their gift cards directly from a retailer/brand. This is especially true of Millennials and men, many of whom report feeling more secure with this option. Discounts, promotions, loyalty points, and convenient store locations also contribute to this preference. Additionally, almost half (45%) of consumers surveyed said that gift cards that are only available directly through the retailer feel more “exclusive”. Consumers favor of in-store gift card displays: 74% have purchased gift cards from a third-party (grocery store, pharmacy, etc.) 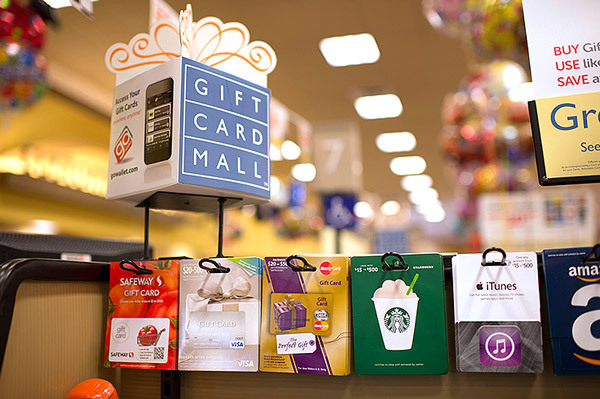 in-store gift card display and 49% prefer to buy their gift cards directly from the retailer/brand. The need for in-store merchandising to be on-point is apparent: up to 40% of consumers change their minds because of something they see, learn, or do in store, whether it be packaging, placement, or interactions with salespeople. Merchandising and packaging are central to the consumer experience and some of the most important selling factors for today’s consumer. 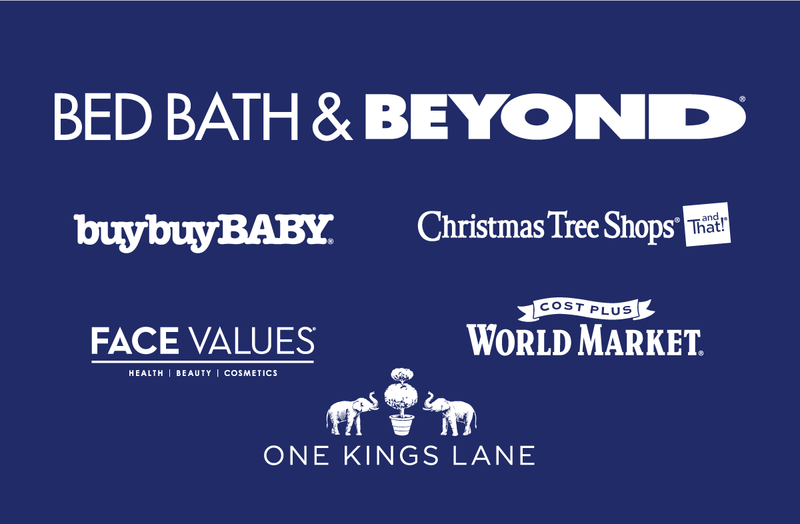 There are a lot of moving pieces when it comes to in-store holiday readiness for a merchant gift card program. Covering the basics is important, but merchants must go further to optimize gift card programs, increase sales, and make the most of the holiday opportunity. We’ll outline some tips to help unify processes for overall holiday gift card program success. Card and display designs and promotional campaigns have the ability to sway consumers in favor of your brand over your competitors. Card production, inventory management, and merchandising strategy and operations ensure you have the ability to serve and sell to those customers who are ready to buy. Missing any of these components equates to missed opportunities and lost sales, as well as a sub-optimal customer experience. Consumers want options for gift card personalization, especially at the holidays . Those that prefer gift cards appreciate the ability to gift without the burden of choosing style, color, or size of actual products, but they are still looking for a way to tailor the gift for the recipient. Inventory is another pivotal factor to consider in advance of high-volume holidays. An empty peg means lost sales, so ensuring that inventory is always in stock is a must. Experience has shown more than 50% of the the inventory needed to fill pegs is already in the store, highlighting the need for merchandising teams to communicate with in-store management to ensure compliance. Promotions that leverage gift cards are important year-round, but they are particularly crucial in Q4. Consumers prefer gift cards nearly 2:1 over other types of incentives, and during the holidays 82% of shoppers are looking for some kind of promotion when they are purchasing gifts. Merchants need to take a number of things into account to run successful promotions. With the rise of ecommerce, online promotions are important. Merchants can extend and increase the success of online promotions by running in-store promotions in-tandem. This increases touchpoints with customers and broadens awareness for the promotion. Driving a sense of urgency can also boost results, so merchants should consider special promotions with limited time offers. Running promotions earlier in the month can drive pre-holiday sales to capture customers ahead of the holiday rush and to lock-in holiday spending share earlier . Also consider running promotions in third-party stores, which can increase the visibility of your brand to new customers . In-store promotions are not without their challenges; Blackhawk Network has found that in-store promotions average a low 30-50% compliance when promotional materials and displays are shipped without a merchandising program in place . Lack of planning around in-store promotion execution leaves merchants with their hands tied when it comes to actual promotion performance. Do you have any in-store promotions planned for holiday? What is the timing of your promotion? What is the strategy behind those dates? Who is designing and producing the promotional cards and displays? Do they understand your brand tone & voice as well as any regulatory considerations? How are the store employees being trained on setting up and maintaining the promotional displays? How are you tracking the success of your promotion? Card and display designs, inventory management, and promotions strategy and execution can overwhelm merchants, especially during the holidays. No one wants to get hung up with in-store execution issues during the busiest time of year, but retail cost-cutting in addition to lack of resources and expertise often leaves merchants between a rock and a hard place. With 110,000 stores covered, 305,000 annual store visits, and more than 1,700,000 photos captures, Velocity Merchandising can augment and tailor a program to meet and exceed expectations. We can help you meet holiday goals and optimize your merchandising programs to achieve maximum sales results year-round. Be sure to register for CashStar’s webinar: Gift Card Merchandising: Maximizing Your Q4 and Planning for 2019 on Thursday, September 27 at 1:00 pm ET.